It seems that Sony's started pushing a new PS4 Pro model, as pointed out by Digital Foundry. PS4 Pro CUH-7200 is the company's latest hardware revision, and it's apparently the quietest model yet. At this point in time, the tweaked console is exclusive to the Red Dead Redemption 2 bundle, and its existence has only been confirmed here in the UK. Digital Foundry's put the new machine to the test, and the results are promising. We're not even going to try and explain the technical details, but the bottom line is that according to the publication, the CUH-7200 makes noticeably less noise than previous Pro iterations. In other words, Sony appears to have done a decent job in upgrading its hardware. Do you have one of these new models, by chance? Suddenly feel the urge to upgrade in the comments section below. Cool, but maybe Sony should of called it the SHH-7200? My PC is usually on when I play my PS4 Pro so I hardly notice how loud it is since my PC's giant side fan is pretty loud. I have am far enough away from my PS4 Pro and have a nice sound system to drown out any noise the unit may produce. My launch Pro is fine sound wise. I think a lot of times people don't look after it properly, if they have tooked away in a unit then a lot of dust will clog up the vents. That's why I have it out in the open. My launch model's actually fine during Red Dead. God of War is a different matter. Thanks Sony, but I'll stick with my 2015 vintage PS4 which is still working just fine. Surprised they didn't name it, I've been thinking lately they need to merge the Pro inside into a Slim outside to only have 1 model on shelves alongside PS5. They could just drop the Slim and keep the Pro but I don't think the price disparity will be enough. Stuffing the Pro inside the Slim gives them an excuse for a big price drop. I never notice any fan noise playing, I crank up the 5.1. It's loud when booting but not a big deal. Though low noise was a selling point of the Slim I have. my launch pro can get really noisy at times but this is a welcome update, other models will be updated to this version i would assume. OG PS4 which started to sound like a jet engine in 2016. I opened it up and I vacuum cleaned clogged (not so much but still) airwents and has been dead silent in all but most demanding games (as opposed to being loud all the time and jet engine loud during demanding games). Yes, the next PS should be better designed in respect to heat dissipation so that it is at least as silent as WiiU is. @Neolit How did you open it? I can't get the cover off my Pro to clean the insides for the life of me. I still have the original launch version of the PS4. I thought about getting a Pro but honest the look of it is ugly compared to the original PS4. I don't like the Big Mac look. I don't mind the noise at all. I just don't want it to explode or burn. My Pro is very quiet so far - only emitting a very gentle hum when it's very busy. My pro is quieter when playing spider-man compared to gow or nier automata, I think it depend on games. My old ps4 is quieter than the pro though. No Mans Sky makes me worry that my Pro is going to start taxiing for take off. When I put that on the cat runs for the bedroom while me and my wife shout ourselves horse over what we're having for dinner while clamping scatter cushions over our ears and dodging pieces of falling plaster that have shaken loose from the ceiling; presumably the neighbours are knocking on the walls, but there's absolutely no way we'd be able to hear them over the deafening roar of my PS4s poor fans. Agreed no design thought went into the Pro its one ugly beast. 4K HDR really ramps up the fans on my Pro. Almost to a hair dryer level. I opened it and cleaned it, (only a light dust coating) that didnt do much at all. @hotukdeals @Tasuki, I hope Sony doesn't continue the design aesthetic of the Pro with the next generation console, else we'll be looking at a quadruple-stacker, or worse. I'm pretty sure they won't though. My Spider-Man Pro is fine. I can hear it when I play heavy games but it is ok. On some games it is silent. I hate such revisions on expensive consoles. It can make people regret their purchase. Again just when news next year about the PS5 is coming out i hope the PS5 plays ps4 games and it's backwards compatible as the ps4 pro is great but very creeky and gets red hot the fan is not a lot of good and also when the PSVR is running the ps4 pro makes some very od sounds creeking and cracking. I have a fairly early PS4, the Uncharted Collection era bundle. Its generally fine and not too loud, unless I unlock the frame rate in No Man's Sky, or play Until Dawn. Those seem to be the worst for me, oddly. I dont see myself getting the pro to be honest, as I dont have a TV to make the most of it! I feel like I'm the only one with a quiet launch edition PS4 Pro... I've only heard it a few times when on the map of HZD ( where the framerate gets unlocked for some reason). I hear some people referring it to a jet, but the last time I've heard a console sound like a jet was my brothers early model Xbox 360. I heard that thing through headphones. There is always variation anyway. Noise can be the 'same' at the console but where its placed, on what surface its on, how far away you sit, what objects in the room, how big the room is, how loud their environment is etc etc can determine how much 'noise' reaches the gamer. There is also a difference in perception and what the gamer is accustomed to. If they are used to a 'loud' console, the Pro may seem quiet because its quieter than what the gamer has become accustomed to. Compared to an Xbox One or X, the Pro could sound much louder - even the 7200 version - just because its louder than they are used to. It does annoy me when people say my console is 'quiet' or even Silent, as there are a LOT of factors that could come into play - same with those that say it sounds like a jet engine at the other end of the spectrum. In most cases, if you were to swap consoles with each other, those that say its 'quiet' would still say its quiet and those that say its loud, would still say its loud because the other factors are still in play regardless. A console that's 50db at the console is still likely to be 50db in another setting but because of perception and situation, that 50db is not the level that reaches the gamer and compared to a Console that's 60db in the same place, it will be quieter - louder than a console that's only 30db. I do find my PS4 Pro to be 'loud' but that's probably more down to the fact that I have an X which is 'inaudible' over the TV volume when I game where as my Pro isn't (at the same TV volume). Some units can amplify the sound or focus it towards the gamer too, reflecting off the sides and back and directing all that towards the person. Therefore, if someone says their day1 Pro is very quiet, it could be that their set up and expectations are different to someone who say's their day1 console is loud. @Ristar24 Whether you have a HD SDR TV or 4k HDR TV, the Pro has benefits over a standard PS4. Maybe you can't take advantage of 2 of its benefits - the 4k and HDR but you still get better PQ (thanks to super-sampling) and/or better performance. Its also likely to be more 'future proof' than your current PS4 if/when you do have to replace your TV. Another benefit is VR of course. Some games offer 60fps that are only 30fps on PS4 so you get that as a benefit. Older, non-enhanced games run better thanks to 'boost' mode - maybe not perfect but you do get a higher average frame rate and less significant drops. As RDR2 is a 'hot topic' right now, you can play that game a locked 30fps on Pro - no drops in towns - even if you go the super-sample route, the game performs better than it does on PS4. If you play BF1, the big scale battles can drop to 40fps on a PS4 yet may only drop to 55fps on a Pro in the same areas. Rise of the Tomb Raider can be played at 60fps on a Pro - it has the same PQ as the PS4 on a HD TV but (up to) double the frame rate for a better experience - 60fps has better controller response than 30fps. Soul Calibre and Tekken both run at native 1080p on a Pro yet on a PS4 they are both under 900p so you get a sharper and better image - as well as improvements to shadow quality, ambient occlusion etc too. At worst, all games (at least Pro enhanced titles) will be 1080p on a Pro yet we are seeing more and games releasing that are not full HD - not consistently thanks to Dynamic scaling. I could go on, but the point is there are advantages to owning a Pro even for HD TV owners. Its not just 'resolution advantages as the PS4 can also offer HDR which you are not taking advantage of - but options (such as 60fps modes) and/or better performance - probably the most important to gamers. Whether that's worth spending money on, especially this late in the generation, will come down to the individual and whether or not they are likely to replace their PS4 with the PS5 at launch. 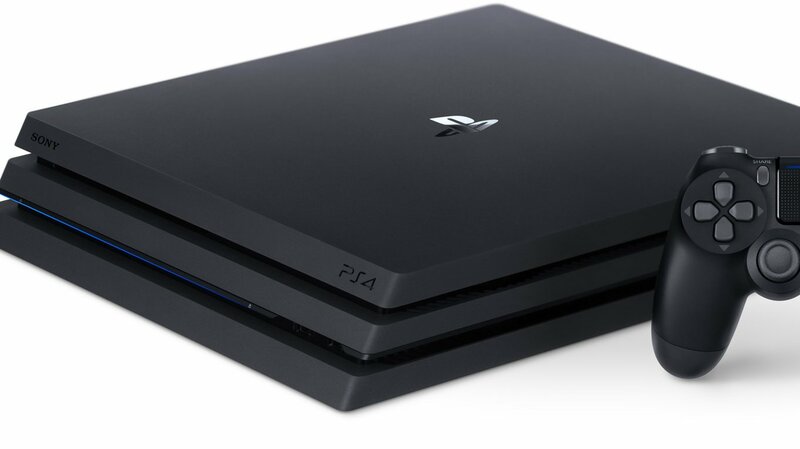 If you only intend to keep the PS4 for another year (if the PS5 launches Nov 2019), then spending money may not be worth it and you can make do with the PS4 but if you intend to keep it for years, then I think it would make sense to have the 'best' PS4 you can, the one that offers the best performance in games, the most options to play games and the one that will be the best if/when you replace your TV or get into VR. Pssh. My slim is so silent (even when playing something like God of War). I bet it couldn't outdo it. @Carl-G me too. I actually won't buy some games because I know the fan will be too loud. And I've cleaned it out and all. This generation is a major step back for me, for this reason only. @Turismo4GT I am not sure about that. They had that same design for the PS2. @BAMozzy Cheers for all the detailed info. I was aware of some of those details through watching Digital Foundry. The pro certainly has advantages, but I'm mainly a retro gamer so the old model is probably 'good enough' for me at the moment. I'm hoping PS5 will have backward compatibility, so most likely wait and see how that turns out before upgrading, unless my current console breaks for any reason! Mine is mental, despite being well ventilated and cleaned out. I couldn't justify getting a new Pro at this moment in time, so hopefully this isn't an issue whenever PS5 is out. @Ristar24 I know some people want BC, but I don't think the PS5 will be - at least not totally. Not only do you now have PS4 specs, you also have Pro specs and games have to know what console its running on to either run with Pro enhanced features or standard Pro features. The PS3, at least the launch model, added a PS2 chipset which is why it was BC BUT also contributed to the cost. The Xbox One doesn't offer total BC either as only a quarter of the 360 games run on an XB1 - that also uses emulation and MS have to check every game thoroughly to ensure they work, they don't do something odd to the XB1, the files saves and/or system. Then of course there are far more patches, DLC's, micro-transactions etc this gen too which would also need to be factored in. Boost mode on a Pro wasn't beneficial for ALL games - at least you can turn it off if things aren't running as expected. Some games were unstable, crashing or behaving oddly because they relied on a specific timing which was governed by the specific CPU's and its clock speed - being more efficient would have had the same effect as boosting the clock speed. This was one of the main reasons the Pro kept the same CPU and GPU - even reverting the 'Pro' to PS4 spec for ALL games that were not Pro enhanced. In other words, if the game wasn't enhanced for Pro, it runs exactly like a PS4 - enabling Boost mode doesn't down clock the CPU/GPU back to PS4 levels (1.6GHz CPU and 800mhz GPU) but keeps them at the Pro level (2.1Ghz and 911mhz) - you still only get half the GPU though and the other half is switched off. Its not as easy as just allowing games to run on the new hardware - even if it has the same architecture. PC's have the ability to find new drivers if the games don't work as expected and these games were built to run on a wide spectrum of hardware specs - not just intel or AMD but the vast array of different CPU/GPU's that are in PC's with the wide range of different speeds, different archtecture, different generations etc. Even then some games don't work properly when you upgrade but at least you can often find new drivers to download - and I can't see Sony (or MS) allowing you to do that! I would be surprised if Sony do offer total BC, significantly less so if its partial with a 'growing' list of games that become BC (like MS's BC) and not surprised if it has no BC at launch at all. I think Sony will be weighing up whether they think it will affect sales by not implementing any BC and whether or not they think it could affect sales of PSNow subscriptions, remaster sales etc. If you look at the PS4 sales, it certainly doesn't appear to have lost out by not offering BC and even though MS do offer some BC, its not closing the gap - rather PS4 continues to pull further ahead each month. I know the PS3 was a 'complex' console in its design and Sony learnt from the PS3's launch that building in BC costs money - something they either add on to the price to us or take off the budget to give us higher spec hardware. If they are targetting a £400 console for example and £100 is needed to build in a PS4 chipset, that leaves just £300 for PS5 hardware. That extra £100 could used to offer a higher spec APU - maybe even more as they may not need to factor in the cooling of the PS4 chipset. Another option could be a software solution - ie emulation but that may not be total and have its own problems - especially with patches, DLC etc and games that are on both PS4 and PS5. I am not saying the PS5 won't have BC - whether its the complete PS4 library or not, we will have to see but that it is not a simple case of just allowing PS4 games to run on a PS5. Sony engineers will no doubt decide whether or not its possible, to what degree its possible and what cost it could take - not just in the hardware needed or the emulation software but cost in terms loss of sales by not offering it, potential loss of sales of remasters/PSNow etc. If that means a reduced spec for their PS5 to hit their target price point or being 'too expensive' to sell well (like the PS3 was at launch), that too is something Sony will no doubt be considering. In recent years, we have heard Sony's stance on BC, that its something only a handful (relative to the massive numbers of gamers) want from a next gen console - and its not as if you can't play your games anyway on you PS4. They have said that the new gen hardware is for the new gen games - not to play your old games and once you have a 'decent' library of new gen games, people want to play those not go back to old games. I know there are a lot of people who will disagree - particularly retro gamers - but there are also a lot of people who don't play their old games - not even 'old' PS4 games let alone PS3 and older. Besides they could still play old games via PSnow or remasters - as well as on their old system - after all you must have a PS4 to play your PS4 games so you could keep your PS4 to keep playing those. I know it would be 'nice' to have everything in one console and PS+ would be better too as you could play PS4 and PS5 offerings on one console too (like Xbox offers) but I would rather have the 'best' PS5 specs for the money, not pay more for PS4 BC when I have a PS4 or get lower spec because some is going to BC functionality. I would rather Sony focussed fully on getting the best spec they can for the future of gaming with NO consideration at all to BC and then once its built, see if BC can be an option and if not, so be it. In other words, pick the best specs for the future, the best architecture etc they can for the budget they are targetting and not consider whether or not that will affect BC or have BC influence their decisions. I will keep my Pro regardless - Probably move it to the bedroom eventually - sooner if total BC is an option LOL - but will still be keeping it. @Tasuki Kinda, but I liken the PS2's design to fins on a radiator, whereas the PS4 case designs are full on stacked layers. My original pre-ordered ps4 has only got ridiculously loud whilst playing resogun believe it or not. @BAMozzy you raise an interesting point. I've heard in some circles that PS5 will be backward compatible with PS4 games, but to what extent is unknown. Though it would be cool to have that functionality built into the console, that would definitely mean there would be some compromises on power/performance. I imagine Sony wants to make it a true next generation piece of hardware and keep the price point around $450 - $500. I'd rather they pour all their resources into making it the best box it can be for that price, even at the expense of backward compatibility. I have no problem holding on to my PS4 for soon-to-be retro gaming, but I want the 5 to be a sizable step beyond the current generation. My Pro sounds like a Dyson on steroids. @get2sammyb @ShogunRok I have the 7200 model from the RDR2 bundle here in the states (just purchased yesterday). So I can confirm its available outside the UK. I never really notice the noise on my PS4 Pro but happy to hear newer PS4 Pro owners will have a quieter experience. @Turismo4GT I haven't heard anything more than just speculation and some peoples wishes for what the PS5 will offer. Video's from people saying what they hope the PS5 offers and even some things they hope it doesn't omit too (like a physical media disc player - just a streaming/digital only console). Like I said, I know that some people may want BC - especially as its a USP that Xbox has currently and I wouldn't be surprised if people speculate that the Xbox Scarlett will offer VR as that is something Sony has. I have yet to see any 'leaked' information about its specs yet - although their is some evidence of the hardware - such as the collaboration with AMD on its GPU but as to how many cores, its potential compute (Mark Cerny has said you need at least 8Tflops to do 4k so that may well be an indicator) and there is speculation it will be using Zen 7nm (not Zen 2). Most console hardware isn't designed around a shape as such, but usually loose components that can be swapped out - not even a cooling system but desk top fans used. Things can change - even in the months between E3 and launch - Xbox One changed the clock speeds before launch. Even after launch, there are small changes, freeing up of an extra CPU core for example - not so much hardware changes I know but it does change the specs and performance. I wouldn't be surprised if Sony has a rough concept of the hardware - maybe a 14nm zen that will be replaced by 7nm before reveal - that could affect the console design being a smaller chip and require less cooling and power - maybe not a lot but until the design, chip size, power requirements, cooling requirements etc are known, its difficult to design the case and internal layout - unless you go the XB1 route and have a 'big' case with a lot of space inside. There are different levels and methods of BC too. The XB360 had BC - with a selection of OG XB1 games - certainly not all. The XB1 has limited BC too - both used emulation and both were not the entire back catalogue. Some BC games on 360 were not without technical issues either ( https://en.wikipedia.org/wiki/List_of_Xbox_games_compatible_with_Xbox_360 as this list shows). The XB1 BC programme has a dedicated team that checks each game thoroughly, inc DLC before it is added to the BC programme. There are issues with that as they also have to seek permission from publishers and/or devs - some of which no longer have the rights, the licences or don't exist anymore. I think the only sure fire way to ensure your PS4 library is fully playable will be to keep hold of your PS4. Especially if you own games that are no longer available. The only way that Sony can offer total BC is if they put a PS4/Pro into the PS5. At most, I do think that the PS5 will have partial BC - a small selection of the games that will run on PS5 - maybe that list will grow over time - like we see on XB1 or be more static - like only games that were 'Pro enhanced' for example. Total BC will be very difficult to implement - especially without adding too much cost (or taking away from the PS5's potential so as not to be too expensive). With over 1800 games (according to wiki) and growing, to ensure all run as well (or better) on a PS5, without any negative issues will be a mammoth task - Emulation isn't perfect either so a software solution may not be the cheaper (as its not requiring additional hardware cost) option to get full BC and if its 'Partial', there will always be games that people want added. You also still need to keep a PS4 if you want to play all your games anyway. Like I said, its a very difficult proposition for console makers. PC's can offer total BC because you have games built and released to work on a massive variation of hardware as well as a much more open platform to download drivers, emulators etc to get those games to run. Some old games don't run as well as you would expect today because they were built to push Single Core CPU's and the Devs expected these to increase in speed - 6+Ghz by now but the multi-threading came along - something I also expect the next gen consoles to be capable of offering. Maybe won't affect the games too much as I would also expect higher clock speeds so should still be better than last gen CPU's with games designed for single thread CPU's. Anyway, the point is, even PC's don't run ALL games - certainly not without some effort or delay (like waiting for a driver/emulator update). Therefore I would be surprised if the PS5 has complete BC (unless they do build a PS4/Pro into it) in some way and not surprised at all if it doesn't offer any BC. I also wouldn't be surprised to see partial BC too - a selection of games that will run at launch (or soon afterwards) that may expand over the generation into several hundred games - similar to MS's BC on XB1.